We often regard leptospirosis as a seasonal disease only relevant during the rainy season. However, in some parts of the Philippines, people still get infected even without the monsoons. “For example, Region 6, the Iloilo-Western Visayas region, has a lot of agricultural lands and we have farmers, we have a lot of livestock there. Even without extensive floods, they have many cases,” says Dr. Nina Gloriani, head of the development team of the first locally produced vaccine against the leptospirosis bacteria called LeptoVax at the University of the Philippines Manila. 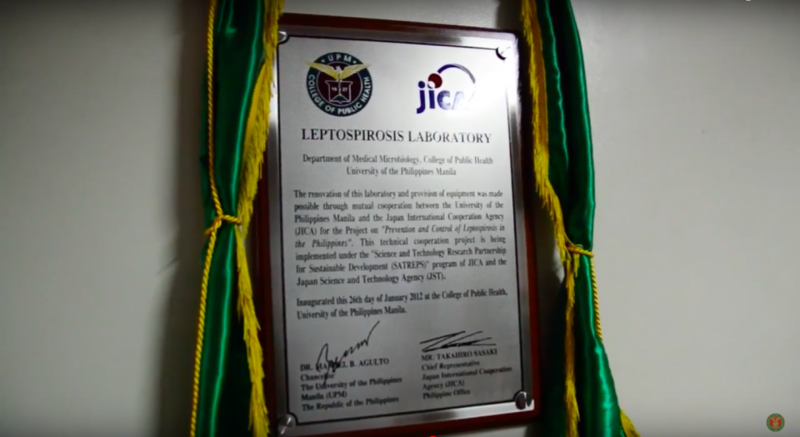 Because of the prevalence of this infectious disease, Gloriani has been working on leptospirosis vaccines for more than a decade now together with other researchers at the UP Manila College of Public Health. And just recently, her team has “registered the proof of concept of LeptoVax,” according to an article published on the UP website. LeptoVax was developed in 2010 with the help of various agencies and universities in Japan (Japan International Cooperation Agency, Japan Science and Technology Agency, Kyushu University, and Chiba Institute of Science) and the Department of Science and Technology. It’s expected to be used on house pets and livestock which may come into contact with the bacteria. This means rats aren’t the only animals that can carry leptospirosis. The United States’ Centers for Disease Control listed buffaloes, cattle, goats, horses, sheep, and bats under the category, too. According to experts, immuning these animals from the bacteria curbs the probability of humans getting infected. But to really protect ourselves from the bacteria, Gloriani says we need to “solve the problems in public engineering.” Information dissemination and awareness about the bacteria is also as important.